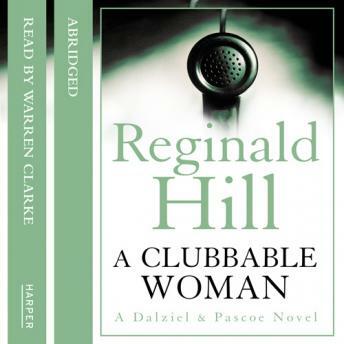 Reginald Hill's first Dalziel and Pascoe novel. When Connon got back from the Rugby Club, his wife was even more uncommunicative than usual. Five hours later, when she still hadn't moved, Connon noticed that the front of her head had been caved in. Home from the Rugby club after taking a nasty knock in a match, Sam Connon finds his wife more uncommunicative than usual. After passing out on his bed for a few hours, he comes downstairs to discover communication has been cut off forever - by a hole in the middle of her forehead. Andy Dalziel, a long-standing member of the club, wants to run the murder investigation along his own lines. But DS Peter Pascoe's loyalties lie elsewhere and he has quite different ideas about how the case should proceed.